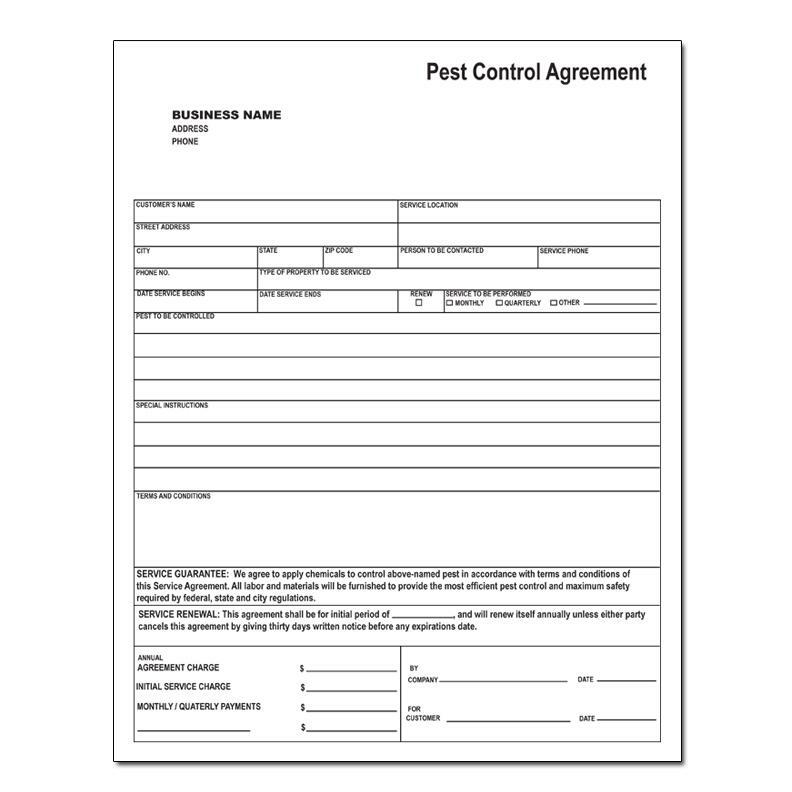 Order your next set of carbonless pest control Service Agreement from designsnprint.com and save. 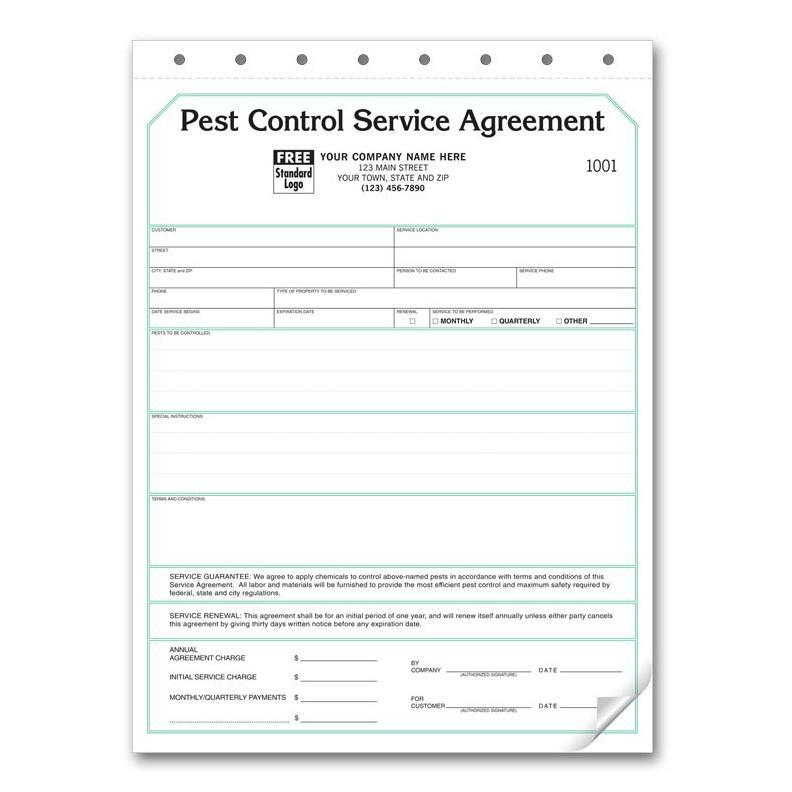 We think that our prices are the lowest you will find online and the quality of the NCR forms are thicker than most. 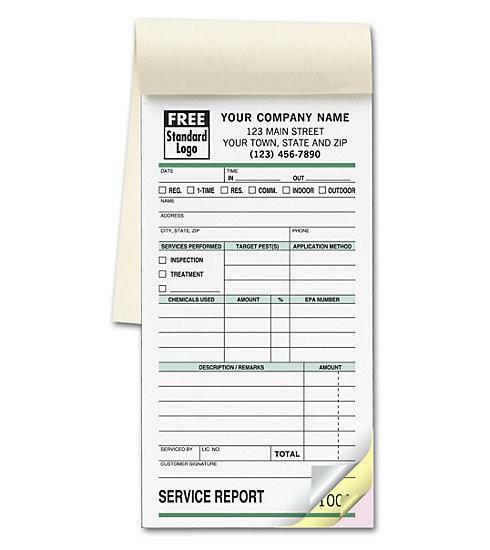 You can add your logo and contact information to personalize an invoice or form. 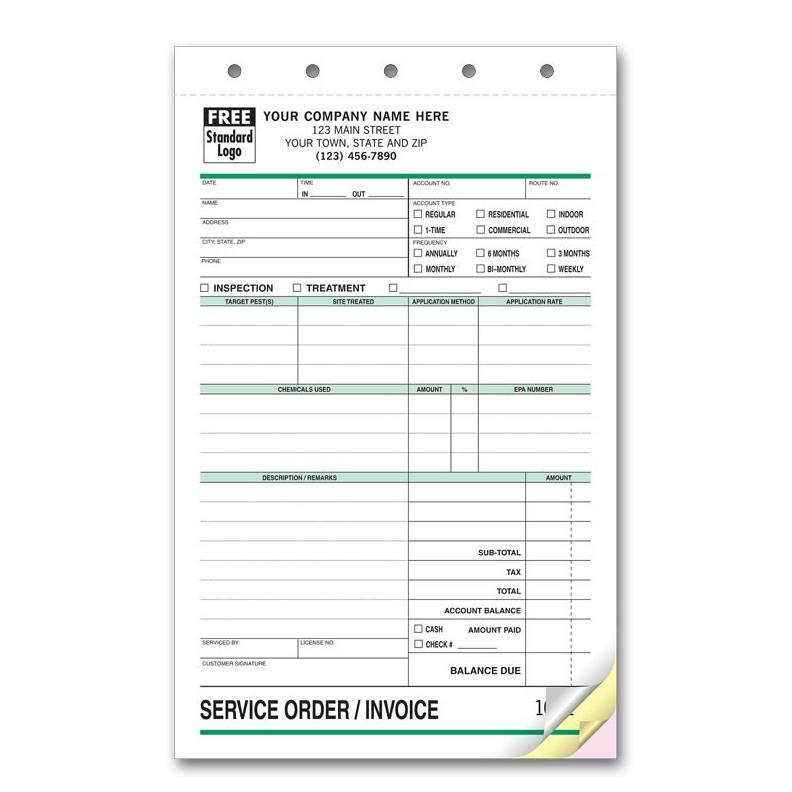 We can also print your invoices as books of 50 or 100 with a hard fold over copy to separate the pages. Our most common sizes are 8.5 x 11, 5.5 x 8.5, 8.5 x 7 but we can do just about any custom size.